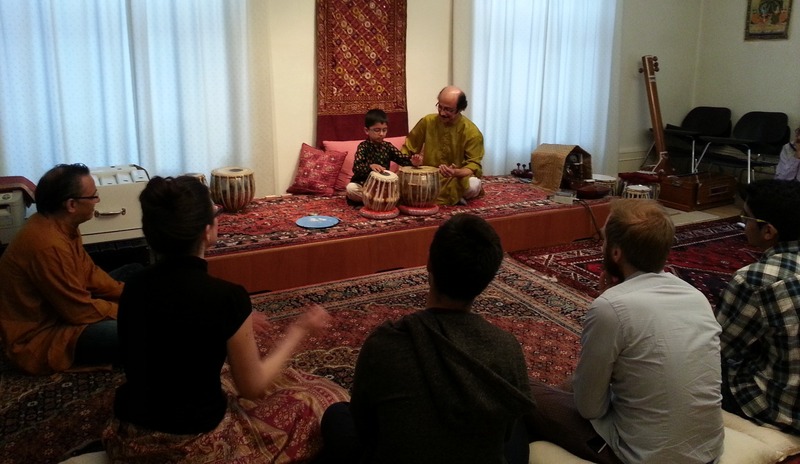 The annual spring Tabla Seminar with Sankar P. Chowdhury will take place again in 2019 from April 21 to July 14. Sankar has been a visiting teacher at the College for over 15 years and is greatly valued for his skilled and patient teaching. Please contact the College for more information about Sankar’s schedule for the Spring of 2019. Vom 21. April bis 14. Juli 2019 wird unser Frühlings-Tabla-Seminar mit Sankar P. Chowdhury stattfinden. Sankar ist seit mehr als 15 Jahren Gastlehrer am College und ist höchst bewertet für seine grossartige und geduldige Art zu unterrichten. Für weitere Informationen über die Frühlingskurse 2019 kontaktieren Sie bitte das Ali Akbar College. The Ali Akbar College of Music – Switzerland recently celebrated 30 years of activities in Basel: 1985 – 2015. This video / photo / music documentary gives of glimpse of the activities of the College during the past three decades! In the following video clips, Maestro Ali Akbar Khan talks about music and his life. They are wonderful moments – enjoy! What is music, real music? In the following clip, Ken Zuckerman performs with Maestro Khan and speaks about the meaning of becoming a disciple. We would be happy to keep you informed about our upcoming concerts and seminars. Just click below to join our mailing list. Wir würden Sie gerne auf dem laufenden halten über unsere kommenden Konzerte und Seminare. Klicken sie auf den Link unten, um in unsere Mailing-Liste aufgenommen zu werden. With thanks and greetings! Mit Dank und herzlichen Grüssen!